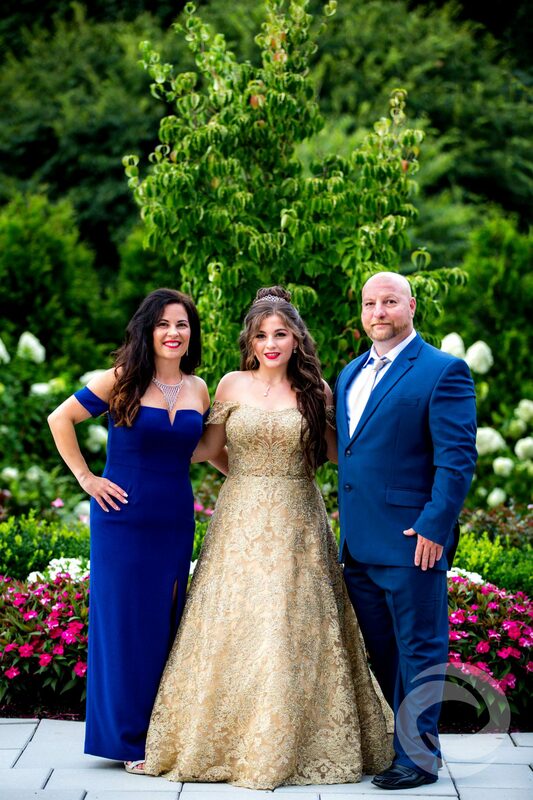 On the night of her Beauty and the Beast Sweet 16, Julianna looked like she stepped right out of a fairytale. 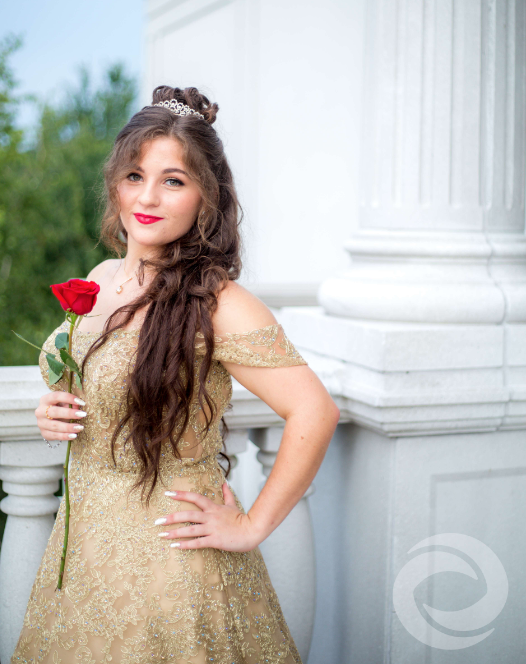 Her off-the-shoulder gold ballgown, hairstyle, tiara, and red rose were perfect replicas of Belle’s ensemble. 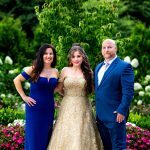 With her look complete, Julianna was ready to celebrate an enchanted evening with family and friends at The Palace at Somerset Park. 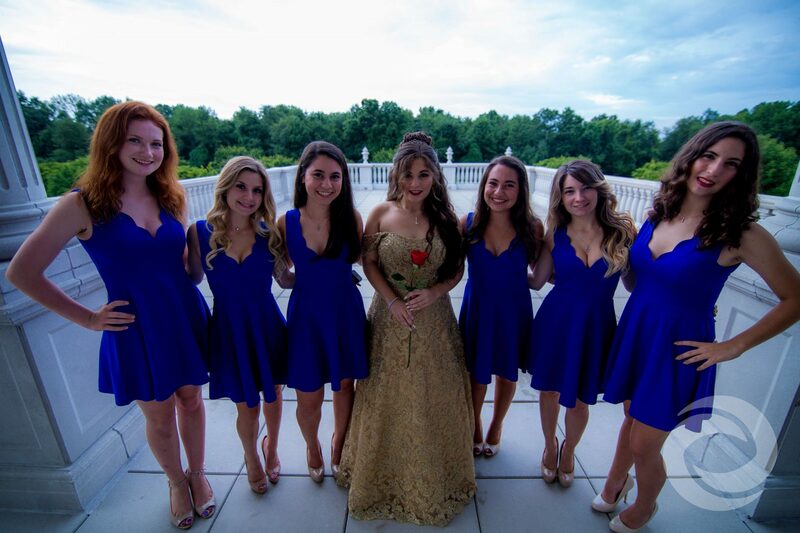 Located in Somerset, New Jersey, The Palace features neo-Palladian white patios and columns, beautifully landscaped gardens, and opulent ballrooms, all of which provided the perfect setting for Julianna’s event. 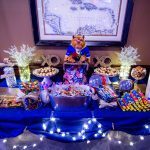 Her decor incorporated small touches from the Disney classic animated film, like roses in bell jars, a shimmering candelabra for her candle ceremony, and even a small plush Beast on the candy buffet table. 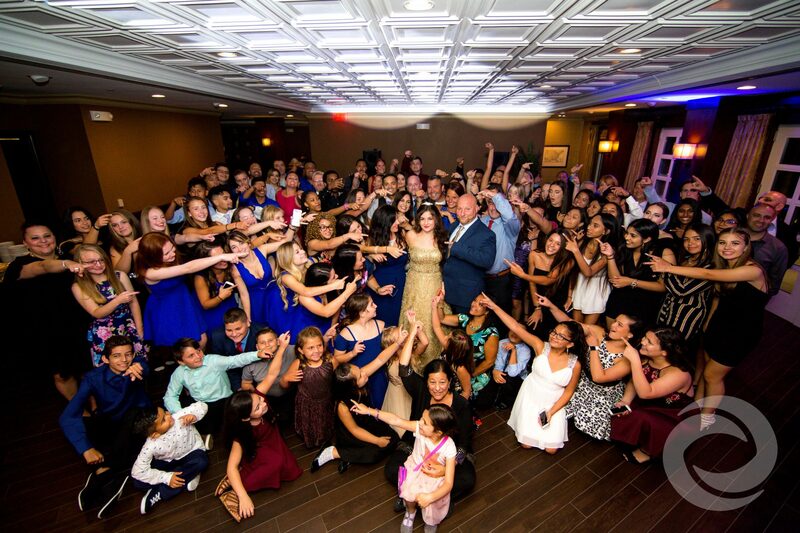 Julianna’s family opted for Hurricane Productions’ Media & Entertainment package, a suite of all-inclusive services to make any celebration even more special. 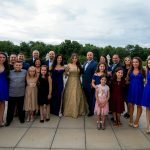 Photographer David Constantini took portraits and candid shots of the birthday girl and her guests, while Markus Robinson captured the evening’s highlights on video. Nate Hawley worked the DJ booth and emcee Robert Padovano kept the crowd entertained with his signature larger-than-life personality. 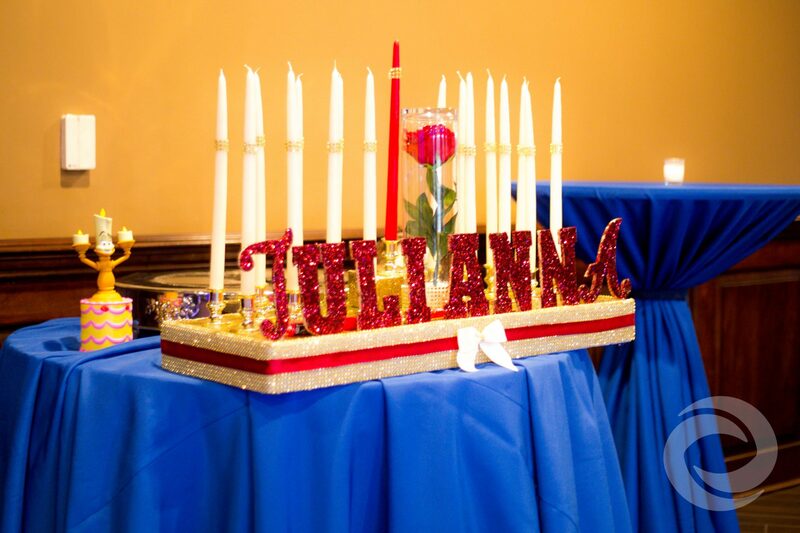 To enhance the atmosphere of the Sweet 16, lighting director Nick Nittoli set up intelligent spotlighting and uplighting to match Julianna’s decor. 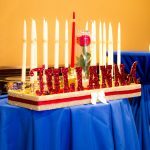 Hurricane Productions also created a custom photo montage and animation displayed on LED TV screens, and a Name in Lights wall projection. 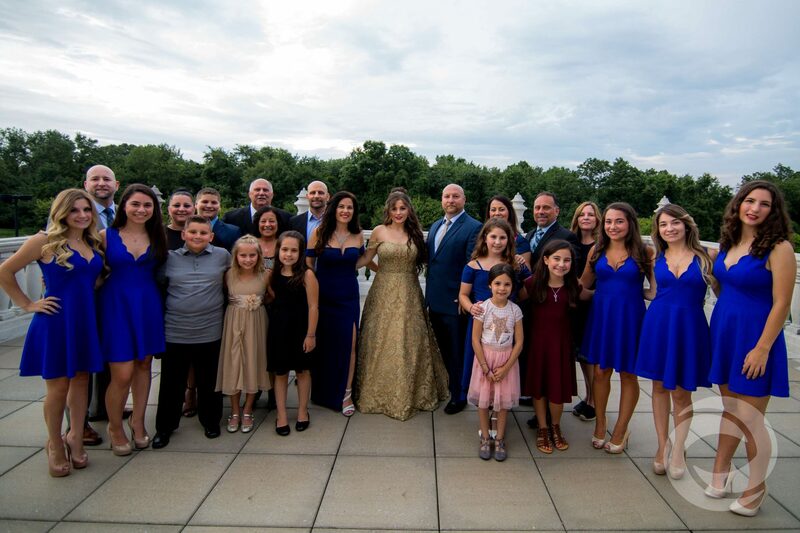 Julianna’s guests also enjoyed using a custom-designed Snapchat geofilter and attended open air photo booth. 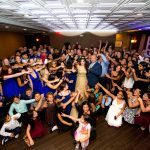 Learn more about Hurricane Productions’ media and entertainment packages on our Sweet 16 pricing page, or reach out to us for an event quote. 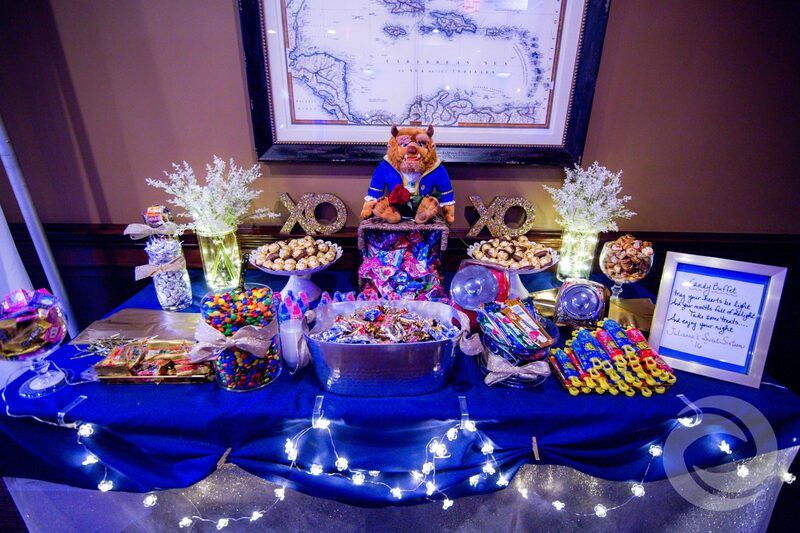 If you’re looking for more Sweet 16 theme ideas, here’s what some of our past clients have done.